If you want to have your Sharp insurance always in the palm of your hands, anywhere you are, anytime you need it, we have the exclusive app for you. 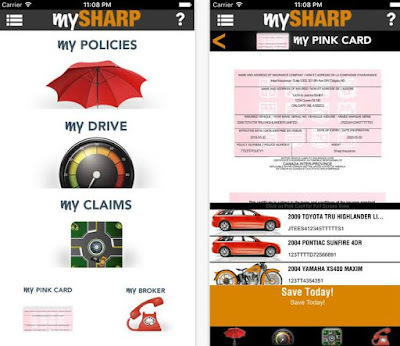 Developed by Sharp Mobile Technology, the mySharp app provides with mobile access to all of your insurance needs. It is launched on both Android and iOS platforms and it is designed with friendly user interface. mySharp is easy to use and contains tons of useful features, making it one of the finest utilities ever. For example, if you download the app you will have the chance to always have access to your vehicle information, deductibles, coverage, insurance cards, etc. You will be able to view your insurance policy, to change it whenever you need to, to access your payment dates and amounts and print declaration pages. You will easily find nearest services like mechanic or a taxi and you can always have your pink card in your smartphone. If you experience some kind of an accident, mySharp will offer you easy forms where you can write notes, visually recreate the scene of the accident, and upload photos. It even features a game (Rate My Driving Game), so you can have fun, rate your driving and share your scores with your friends on Facebook. mySharp is the first of its kind in Canada and it can be downloaded for free from both Google Play or from the App Store. Match 3 Games can represent a great entertainment. We always support them because, not only they are challenging and exciting, but also they are great for brain training. This month we will announce a great new match 3 puzzle game called Juice Party. If you are looking for a new game that will provide you with hours of fun on your device, we highly recommend you download the Clockwork Planets game. 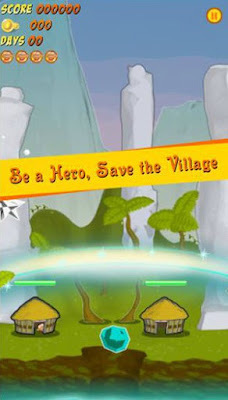 It is an Android casual – puzzle game, developed by Soft Sky Creations and designed in a very unique way. Besides the addictive gameplay, the space theme and interesting sound effect will engage you even more. Clockwork Planets is one of those games that is easy to learn, but hard to master. You will it because it is designed with wonderful space-themed backgrounds and you will enjoy exotic star systems, binary stars, red supergiants and many more. 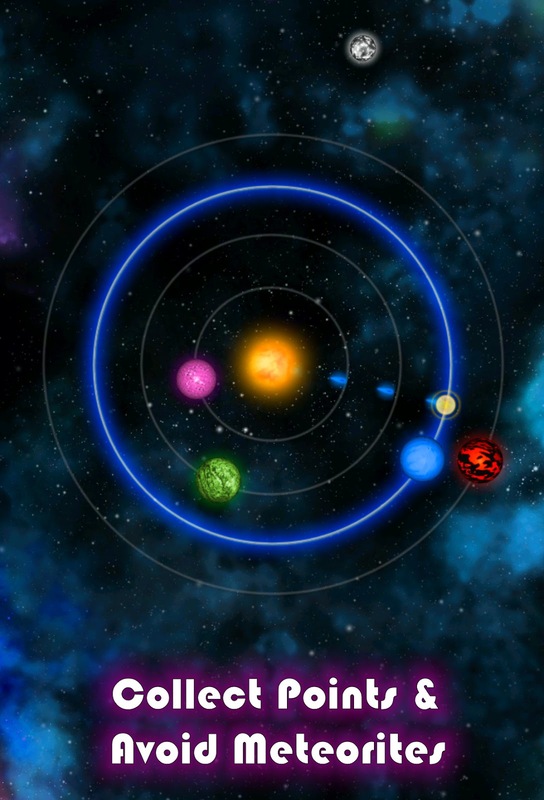 All you have to do is touch on your screen and rotate the planets in their color coded orbits. Rotate them and defend them from upcoming meteorites and try to collect as many points as you can. You will be able to jump to new solar systems including binary star systems and black holes and to unlock dozens of exotic rotating planets. Play and last as long as possible, unlock numerous achievements, make higher scores and compare them on the game’s online leaderboard. 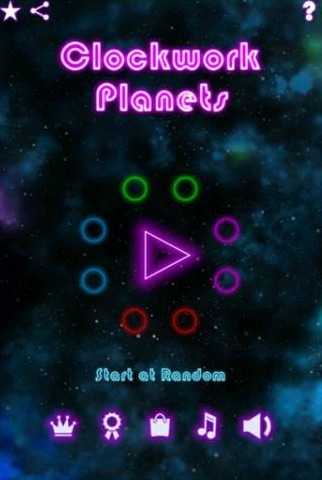 Download Clockwork Planets for free from Google Play and share it with all of your friends and family members. Are you searching for a new game that will provide you with hours of endless fun while you are using your device? Then we have the perfect match for you! Juice Party Mania: Match3 – a new puzzle game that has been created by Jondesoft, launched recently on the Android platform. It offers its users a very interesting gameplay along with a great graphics and a friendly user interface. It is compatible with all devices with 4.0 or up. As you open the game you will notice that its gameplay is very simple with the popular Candy Crush. The goal of the game is to merge the colorful fruits together and create a splash of colors in order to get power ups and boosters of different kinds that will help you get a higher score. Try new combinations and compete with players from around the world in order to win the title juicy fruit matching hero. The game has three rounds and each round has different objectives and all you need to do is just simply swipe up, down, left or right on your screen in order to move the colorful fruits around into a new combination. The winner of the game is the one who reaches the highest score in the 3rd round. Face new challenges each time you play and focus so you can unlock and achieve new rewards each time you play. Try and score higher each time so you place your name in the Worlds Rankings of the game. Share this amazing puzzle game with your family and friends and download it now for free only on Google Play. 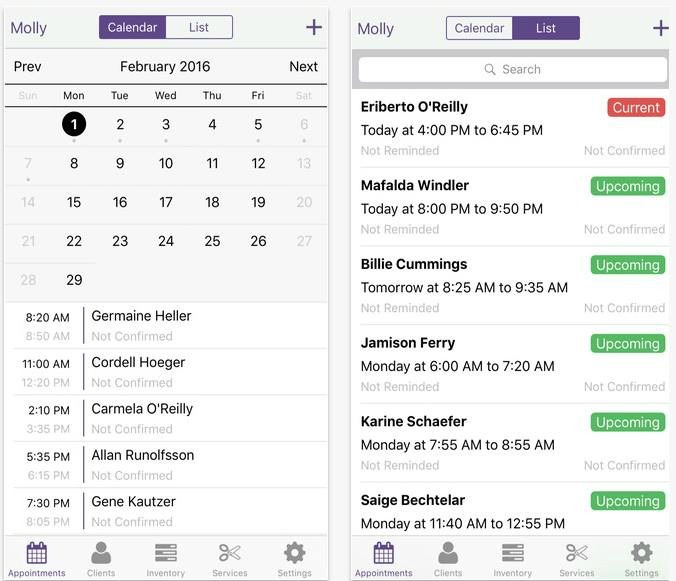 Today we are presenting to you a breakthrough app that can save time by booking appointments and tracking inventory, so if you are a salon owner, it can help you focus more on your clients. The app that we’re talking about is called MyCuts and it is now available for all the iOS users out there. It is simple to use, with intuitive navigation and great graphics. MyCuts is effortless and accurate solution if you want to automate your salon. You can either schedule appointments or track the inventory. Every appointment you make can be added to the calendar and automatically connected with email confirmation and reminder and it can be easily rebooked. 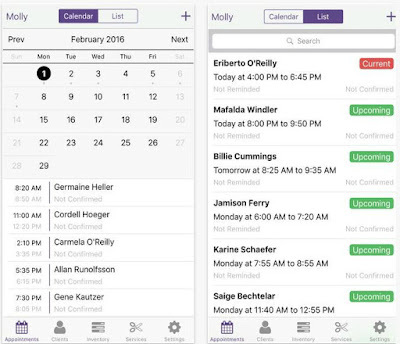 You can search through your appointments by client name and view which appointments are current, upcoming, or completed. Gather info about your clients and always have their email, phone, occupation, mailing address and more. Your inventory can be controlled very easily. Just search through it and view your stock level, target stock level and reorder level and add or remove inventory items. Add up to 50 clients, have unlimited inventory and services and download MyCuts for free from the App Store. Get ready for a new addicting puzzle game that will rock your socks! 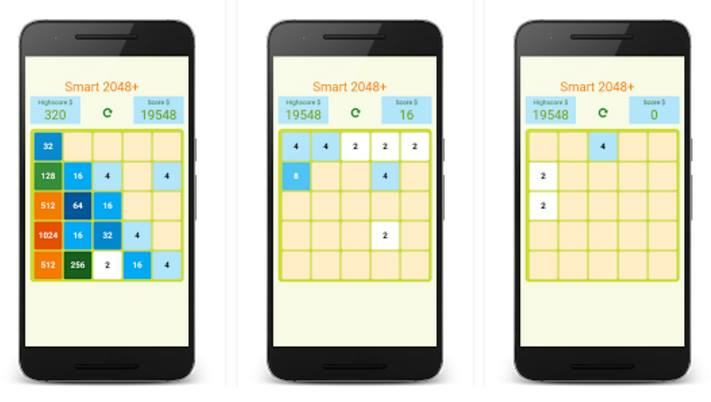 We are gladly presenting to you a new game launched recently on the Android platform - Smart 2048+ created by Net Prospection. Designed carefully with amazing and astonishing features, clean user interface, this game will totally get you hooked in no time. It is compatible with all Android devices with 4.0 or up. The game play of this puzzle game is simple yet very challenging. The first thing you notice when you download the game are its colorful and engaging background colors and the friendly UI. You will get introduced how to play it and it may seem easy and simple at first but as you play further and reach higher scores, you will notice it gets more and more challenging which makes it addicting. 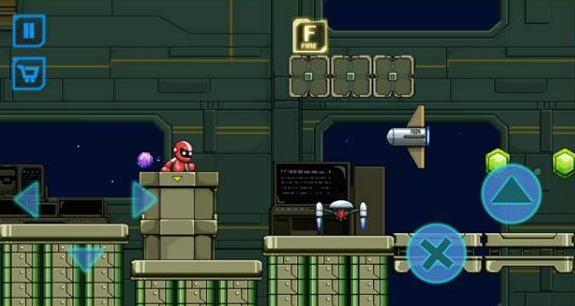 The controls of the game are simple: swiping on the screen up, down, left or right, depends on how you want the tiles to merge. The goal the player needs to reach is to put tiles with the same numbers next to each other and as soon as you create the 8196 tile, the game is over and you as a player, win. The game is being automatically saved in case you unintentionally exit and it also offers you a feature called Endless Mode which allows you to continue playing the game even after you complete the 2048 or 4096 tiles. This is the perfect game that will entertain you for hours and also improve your calculating skills and brain focus. You can share this engaging game with your friends and family and it is also made so even kids can play it. Download it now for free on Google Play and get hours of endless fun. If you are looking for a tool that can help you make smart trade decisions, we have the right choice for you. We are talking about an app called StockStation, developed by Mobile Interactive and released on the iOS platform. 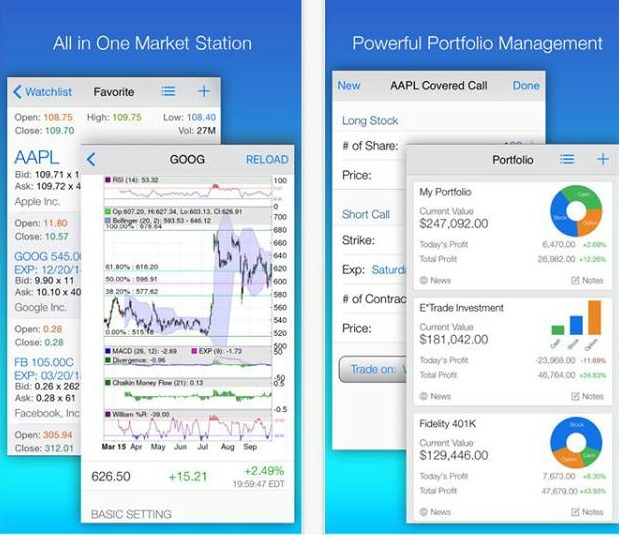 This financial app is a real time stock, option portfolio tracker and market screener and it is very easy to use. The StockStation app provides with multiple features and tools and lots of helpful information related to your financial interests. It has real-time advanced quote and advanced chart with tons of technical indicators, moving averages, price bands, overlay bars, etc. The portfolio personalization and management is powerful and the watch-list for stock and options management unlimited. You can push notifications for prices, watch live news and write your own personalized notes. It also features economic and split calendar, an IPO calendar and dividend calendar. Having this app, you will be able to analyze the ratings and view the competitor list and easily create multiple portfolios. StockStation is all in all market station and it offers amazing portfolio management. Always be in touch with your finances and have access to them by downloading the app for free with multiple in-app purchases from the App Store. If you are experience stressful situations every day and you’re in need of something that can brighten up your mornings, days and nights, here is an app that can help you. 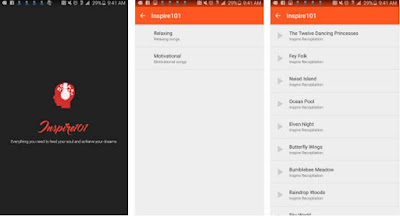 Inspire 101 is an Android app that we found in the Music & Audio category. It is developed by Pablo Carpio and it is designed in a very unique way, with engaging features and friendly user interface. If you want to enjoy listening to something that can both calm you and inspire you, first you have to download the app. Then you will be able to choose from the two different categories. Tap on the relaxing category and start listening to instrumental songs that are created for sense awakening and improving your creativity. Tap on the motivational category and inspire yourself by listening to famous speeches from many people who achieved greatness. Just press play and let experience huge stress relief. Inspire 101 allows you to play and listen to the songs even when your device is sleeping. They can be streamed to compatible devices, as well. Note that every week there are new songs added, so make sure you download this amazing app for only $1.99 from Google Play. We all know that the preschool years are essential in every child’s education. Until they reach an age of 5, their brain rapidly developed and that is why it is very important to dedicate some time to teach them useful things. If you want to introduce your children with math basics and game, then we have the perfect app for you. Math Games for Preschool and Kindergarten Kids is an educational iOS app that was recently launched on the App Store, it is designed with fun features and friendly user interface. The app allows tons of fun visual exercises that are accompanied by a teacher (speaker) that is giving the instructions and giving the head start your child deserves. It contains 4 main topics to choose from, such as counting up to 3, counting from 4 to 6, from 7 to 10 and finally, from 1 to ten. The main topics include 6 subtopics and they on the other hand have 6 rounds. You can learn and play through almost 144 levels and educate your youngsters to count correctly and with an ease. You can improve your child’s education by counting the items, coloring in the items, add and remove them, dragging x items into a box, writing them with fingers, fill in missing numbers and color in the number of items that the teacher requires. Get your child started on this unique journey of numbers and games by downloading Math Games for Preschool and Kindergarten Kids for free from the App Store. If you are looking for some handy tool that can help you manage your files and folders in your device, we offer you one of the finest productivity apps on the Android platform. 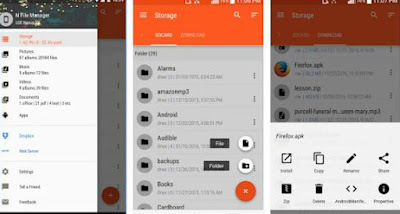 The app that we’re talking about is called N File Manager and it is created by the developed mcsong. It is designed with clean navigation, well packed features and great theme and style. Improving your time spend on your device can be easily done with the N File Manager app. Just download it and start checking and managing your running and installed apps within your device. The app provides with proper opening and functioning of any type of file, it supports thumbnail and it can be connected with your Dropbox account, as well. Now, creating, renaming, deleting, copying, pasting and compressing files is easier than ever. You can operate tons of other properties, view and back up your apk files, share files in different apps and search anything you want with the search option. This amazing file manager app looks stunning and works excellent on both Android phones and tablets and it can be downloaded from Google Play, free of charge. Are you tired of texting with the round yellow heads and stickmen that don’t really express any feelings? If you are, we have the perfect app for you. Real Emotion Texting is an iOS app developed by Warner Cunningham and it is here to enhance your texting experience, to make it more fun and enjoyable! It has easy and clean navigation and features that no other app of its kind has. The Real Emotion Texting app provides with tons of emotion stickers that can bring back the life to your texts. You can either get the free stickers or the paid ones. When you start using it, you will get the 200 free stickers that can help you text anything in a more fun and exciting way. No need for words, just use these sticker in your texts, emails and social chat apps. There are other stickers available with the in-app purchase. You can unlock over 900 beautifully colored and unique stickers and enjoy the app even more. You can enlarge them and view them better, find exactly what you need with the sticker search or add anything in your favorites. Get the app now from the App Store, free or with the in-app purchases and own real emotion stickers with high resolution and highly optimized! There are many apps on the iOS platform that allow us to find places and locations where we can find the most delicious and well served food. 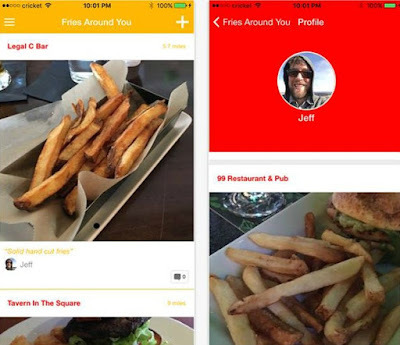 But this time we have an app especially designed for the French fries lovers, an app called Spuds. It is developed by Proximity Design and it is quite new on the App Store. The whole concept of this app is really stunning and authentic. The user interface of the Spuds app is very friendly and clean and you can easily manage it and see how the app works. It provides with tons of new places and locations where you can find the best and most delicious fries. Just download the app and create your own personal profile. Then you will be able to scroll through the feed and see the posts of other users. In that way you will know new spots where you can go the next time you want to eat some hot fries. Besides this feature, you can post your favorite places and fries, as well. Attach a photo, add a caption and some comments and share them with other people. If you want to find and share awesome French fries, Spuds is a must for you. It looks excellent on all of the iOS devices and it can be downloaded from the App Store, where it is free of charge. One of the things that can keep us entertained when we are bored or when we have some free time and need to make it more enjoyable, are games. If you want to have fun-filled time on your own device, then the Space Attack: Red Planet sail game is a must for you. This role playing game is developed by WoJo Productions and it is designed in a very retro way. It reminds of those classic arcades we used to play. Besides, it is user friendly and with interesting music and sound effects. The storyline of this game is awesome, with fun characters and goals. You are the last survivor on the Planet Mars and all of your colleagues and explorers didn’t survive the aliens’ attack to your ship. Now it is your task to defend yourself and destroy as many aliens as you can. Tap on your screen and maneuver your character in order to get to the command center of the ship that is disrupted by the aliens. Complete as many levels as you can, collect the coins on your way and use the offered power-ups as an additional help in your mission. Try to make higher scores and check them in the online leaderboard, gain more XP and be the best player among the many! Share Space Attack: Red Planet sail with your loved ones in order to share the fun and get it for free from Google Play. If you’re looking for an app that combines all the rideshare services, we have the perfect one for you. It is called UpShift and it is developed by Managed Development and released on the Android platform. Well organized and user friendly, this productivity app is an awesome solution for rideshare drivers, it simply makes their work more enjoyable. UpShift lets you run multiple driver platforms, tools and apps in one dashboard. Forget about using multiple devices and have Uber, Lyft, Postmates, DoorDash, Wingz and more in just one place. Besides the all-in-one dashboard, the app has other amazing features, such as locked QuicBar where you can add or remove apps with just one tap, tips revenue and expense tracker. The switching between the apps is easy and you can do that whenever you want to. Customize it and switch between Uber, Lyft, Spotify, Google Maps, Square and other apps you use. Monitor your time spend in your vehicle with the shift timer and track your expenses and revenues and determine your overall profit and the exact distance you’re wasting in between paid trips. All you have to do is sign up and have this reliable and accurate app at the tip of your fingertips. 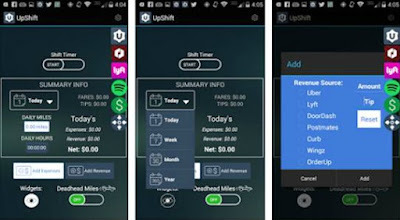 Make your driving easier and safer by downloading UpShift for $0.99 from Google Play. When we found an app that really amazed us with its features and offerings, we tend to share it with you. This time we have a beautiful educational app that we discovered when we were searching through the App Store. 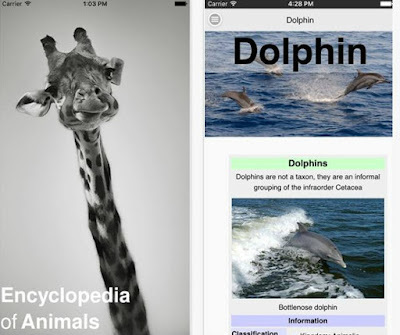 The app is called CHI Encyclopedia of Animals and it is developed by Coast Heavy Industries. They made it user friendly, with high quality graphics and useful information about all world animals appealing to all ages. The animals within this app are displayed with HD photos of them and with well written articles that can be enjoyed by both children and adults. You can teach your children and help them learn about animals or inform yourself with things you didn’t know. From A to Z, from aardvark to zebra, dolphin, duck, gazelle and others from the animal kingdom, you can find everything in here! You can read the basic characteristics of the animals, their behavior, learn the scientific classification, morphology, etc. The CHI Encyclopedia of Animals app will engage you more with its various badges that you can collect for reading more pages. It works excellent even if you’re offline and it looks stunning on both iPhone and iPad. You can download it for free from the App Store. Saving money is not such an easy thing to do. We’ve all tried to put aside some money, but often fail at reaching the goal. Well, it doesn’t have to be that way anymore, because we have found the perfect money saving app called VaPay. This finance app is developed by Vapay, llc. and it is available for the iOS users. Easy to use, the app can help you reach your goal for saving the money you need to go on that vacation you’ve always wanted to. 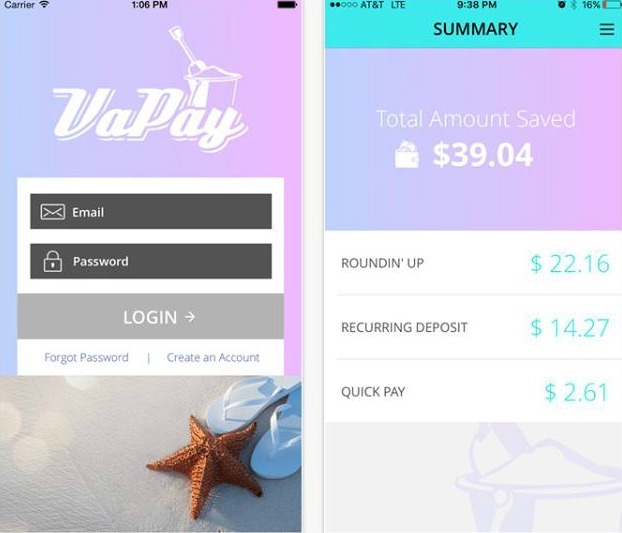 If you use this app, you will allow it to automatically round up your every day transactions and transfer the spare change to your VaPay personal account. You just have to follow three simple steps. First, create a VaPay account, just enter your username and password and then register your current active checking account. Use your debit card as you usually do and let the app do the savings for you. You can also set automatic recurring monthly payments and manually transfer funds to your VaPay account. This amazing app is currently available with 8 US banks, such as America First Credit Union, Bank of America, Chase, US Bank, Wells Fargo, etc. Round up your purchases to the nearest dollar and save money for your perfect vacation dream by downloading the app for free from the App Store. There are many adventure games on the Android platform, but only few of them are really providing us with fun time. A game that amazed us with its whole concept is Crazy Cutsaw. It is created and brought to us recently by Joensuu Games OSK. With pleasing and high quality backgrounds and amusing sounds and sound effects, we highly suggest you download it and check it for yourself. When you first open and start playing Crazy Cutsaw, you will see how quickly it addicts you. This is because of its unique gameplay that includes a cutsaw as your character. You have to control your saw through the fields and make it to the finish. As you go through the fields, many objects and obstacles will try to get in your way, so cut them and destroy them and get to the finish on time. The time is running, so simply tap on the arrows displayed on the bottom of your screen and go left, right, jump or double jump. Play and complete as many levels as you can. There are many levels featured, each one harder than the other. If you lose, just press on the restart button and try all over again. With each try, your skills will me improved and you will get better at it. Share the Crazy Cutsaw with your loved ones, download it now from Google Play, It is free of charge! If you are looking for a game that can challenge you and entertain you at the same time, look no more because we have the perfect fit for you. 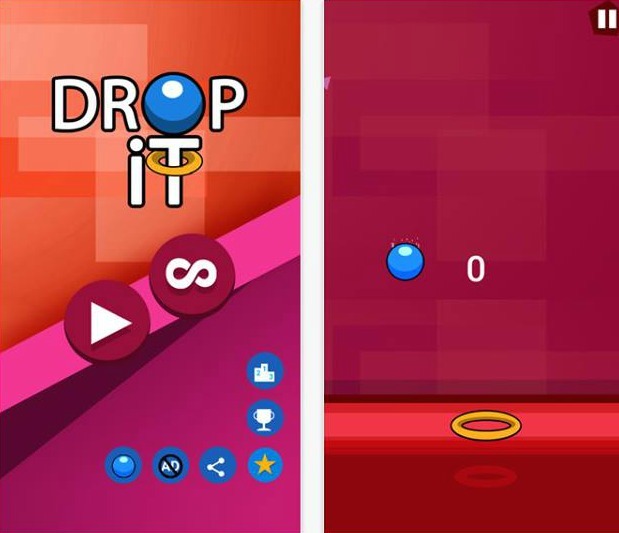 We are talking about this cross-platform game called Drop It, developed by Devin Puccio. It will engage you with its interesting gameplay, fun and colorful backgrounds and playful sounds and sound effects. When you first start the Drop It game, you will be able to choose between two different modes: standard and endless mode. If you choose the first one, your main goal will be to win as more levels as you can, and if you choose the other one you will be able to enjoy and play endlessly. All you have to do move the ball left and right and tap in order to release it. Release it and make sure it passes through the moving hole on the ground. Time your releases and pass more levels. If you get to higher levels, you will also have the opportunity to change the ball with cooler one. Complete levels, gain more XP, make higher scores and enter them in the game’s leaderboard. 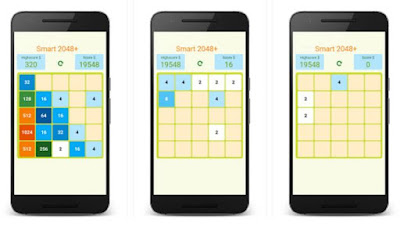 Compete and share it with all of your friends and family members and download this challenging game for free from Google Play or from the App Store. There are many situations when we are alone and we feel unsafe. That is when we need a quick solution that can help us. If you are looking for a solution that can always be available in your pocket, we have the perfect app for you. SmartWatcher is a cross-platform app, developed by Smartwatcher Technologies, designed with intuitive navigation, well packed and useful features and friendly user interface. 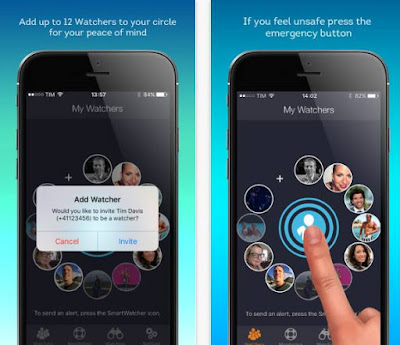 The SmartWatcher app was first created for the Apple Watches, but the developers wanted to make it available for the iPhone and iPad users and now for Android users, as well. So now you can have it and use it whenever any type of safety issue occurs to you, such as a medical emergency, a fire, an attack or bullying/abuse. Just add up to 12 people or watchers to your circle and when you feel unsafe just press the emergency button. The app will alert your watchers, they will be able to see your exact location and contact you or the emergency services. An additional safety feature is the Continuous Safety Monitoring. When it is activated, it will ask you if you’re safe from time to time. If you don’t confirm your safety, it will alert the watchers from your list. Keep track and wait for new updates and new powerful safety feature for your own good. SmartWatcher uses your GPS tracking system and it can decrease your battery life. 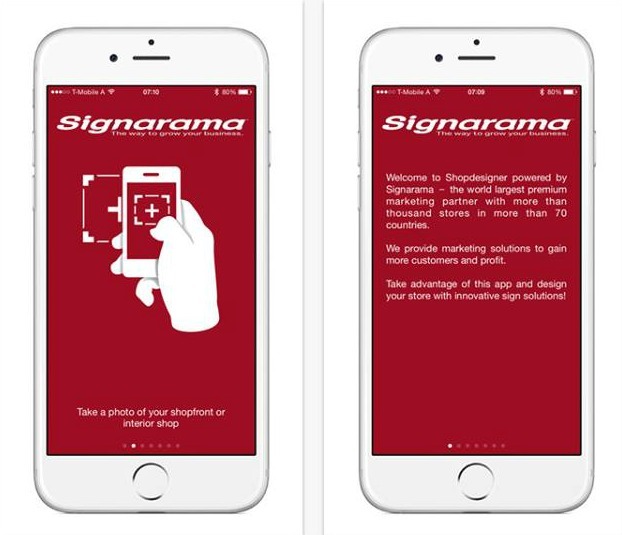 Share the app with your friends and family by downloading it from the App Store or from Google Play. It is free, with a subscription option. Actually, the in- app purchase is the monitoring feature, so get it and have additional level of safety always in your pocket. 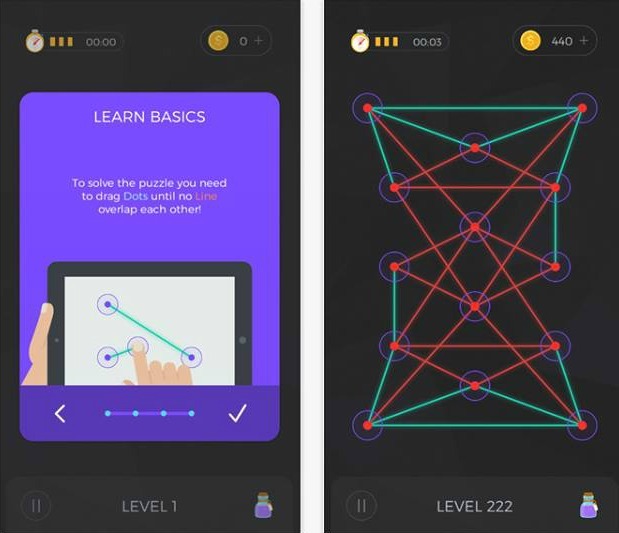 If you want to challenge your brain with an awesome game that can be played anywhere and anytime, then unWired is a must for you. This puzzle game is created by 01Gravity and it provides with hours of fun for both iOS and Android users. Get ready to improve your problem solving skills and spatial reasoning! 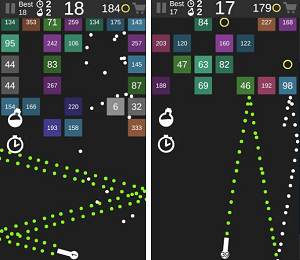 The unWired game features a very challenging and addictive gameplay. Your main goal is to solve the puzzles that are offered to you by dragging the dots until the lines get untangled. There are 222 levels for you to complete and each one of them has a puzzle with many dots and lines. The red colored lines are overlapping each other and you need to untangle them and make higher scores. If you solve the puzzle fast, you will receive a certain amount of coins that can be used for buying power-ups from the store. With them, you can stop the ticking time, destroy more dots, skip the level, and many more. The puzzle can get quite messy, but don’t worry. If your lines tangle too much, you can always restart the game and play the level all over again. unWired contains amazing 222 handcrafted puzzle designs, pleasing graphics and entertaining sound effects that can engage you even more. The game can be found on the App Store and Google Play and downloaded for free. If you are using Microsoft Outlook on your computer, you know that you can’t use it with your device. You are not able to use it if you are on the go. 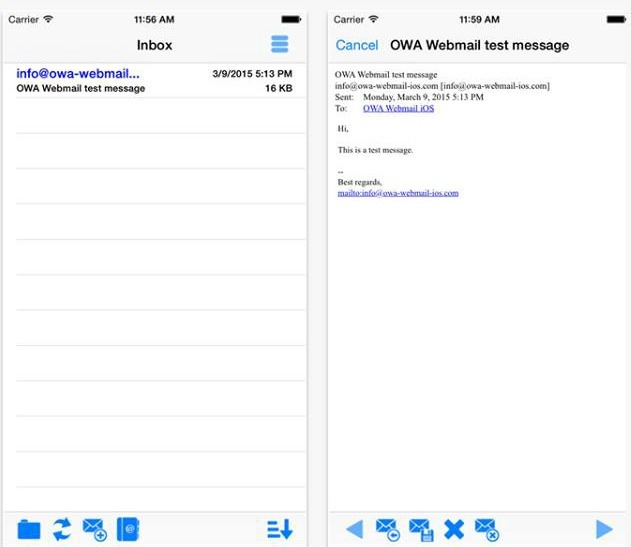 That is why we searched for an app that can connect to an Outlook Web App (OWA) server and we discovered an amazing one, called OWA Webmail. The app is developed by Gyula Komar and it is launched on the iOS platform. 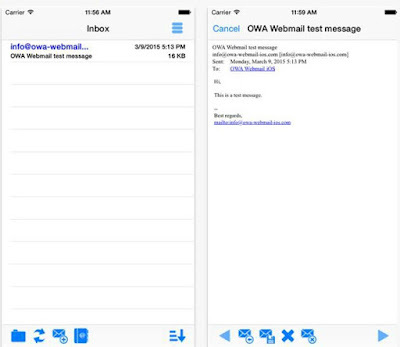 The OWA Webmail app uses the Outlook Web App interface in order to provide you with an access to your own mail. Forget about IT security issues and protocols. This iOS mail client app has already gained many positive acclaims of its users and became popular in the Business category. To access this interface, all you have to do is to write your URL, your username and password and login. You can use it if you have Outlook Web App 2010 or Office 365. The features are well organized, so you will be able to access the main menu, to view your messages and address book, to refresh them and to write new messages, as well. OWA Webmail can’t be used for Yahoo, Gmail or Hotmail and it offers a webmail license as an in-app purchase. 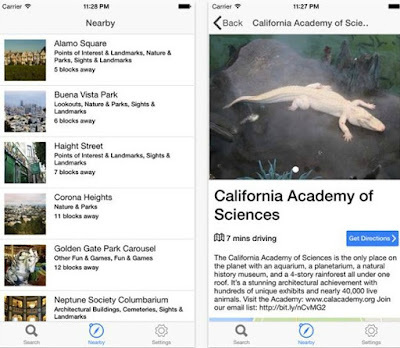 The app requires iOS 8.0 or later and it is compatible with iPhone, iPad, and iPod touch. You can download it for free from the App Store. Game of the Month - Change Lane: Do Not Crush! After we reviewed Change Lane: Do Not Crush! we simply couldn't stop playing this retro car racing game. That's why, without many hesitations, we decided to make it Game of the Month. This is a classic avoidance game that allows you to have a fun driving experience and opportunity to drive all day long. The gameplay of Change Lane: Do not Crash! is easy and simple, yet challenging. Your main goal is to maneuver your car through the traffic on the road by tapping on your device’s display. Tap and switch between the lanes and be careful of the cars driving towards you, they can make you lose the game if you crash. Also, collect as much money as you can (they appear randomly on the road you’re driving) and buy with them cooler and faster cars and store them in your personal garage. Note that as you play, the speed of your car will increase and the traffic will become more frequent. By playing Change Lane: Do not Crash! you will experience an realistic gameplay, you will drive your awesome car and enjoy detailed 8 bit vintage graphics and interesting arcade soundtrack. Download it for free from Google Play now and join the long distance ride. It's guaranteed, long-term, exciting entertainment. 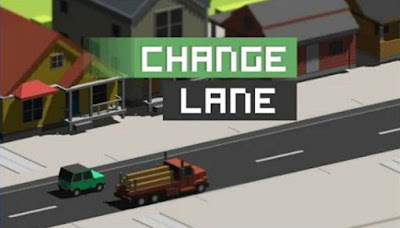 Google Play Download Link: Change Lane: Do not Crash! If you made a decision to get in shape and be healthier, but you really don’t have the time to do it because of your busy lifestyle, you need a workout program that offers short and effective exercises. 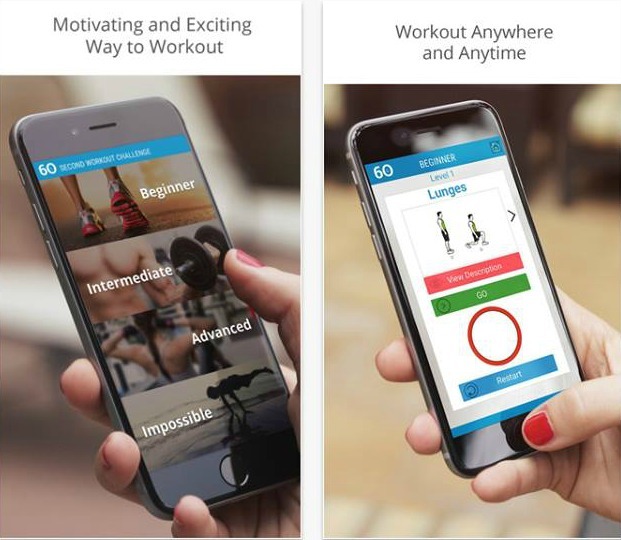 An app that offers the exercises you need is the 60 Second Workout Challenge app, developed by Shahid Javid and available on the iOS platform. This app is proven to be successful by thousands of people from all over the world. 60 Second Workout Challenge doesn’t require Internet access and it is compatible with all of the ios devices. You can use it anywhere and anytime and you will quickly see how effective it is. The 60 second workout program is easy to follow. Just read the descriptions and look at the images and start exercising. The app contains multiple levels for people with all levels of fitness, a calendar where you can add your notes, a reminder that will remind you each day of the challenge to start working out and a built-in timer with sounds. So, no more looking at the timer, it will notify you when the 60 seconds are passed and no more spending money on expensive equipment or spending hours in the gym. 60 Second Workout Challenge is motivating, exciting and effective way to workout. Challenge yourself with 60 seconds for 60 days of exercising and get in the best shape of your life. The app is available in two versions, free and full, and it can be downloaded from the App Store. If you are looking for an easy and awesome GPS tracking solution always accessible in your own device, we have the perfect suggestion for you. Chirp is a cross-platform app developed by MoonBeam Development. It is a powerful GPS tracking app that offers dozens of features and it is dedicated to almost 62.000 registered users worldwide. Easy to use, with amazing designed and well organized features, Chirp can turn your device into a protected GPS trackable device. 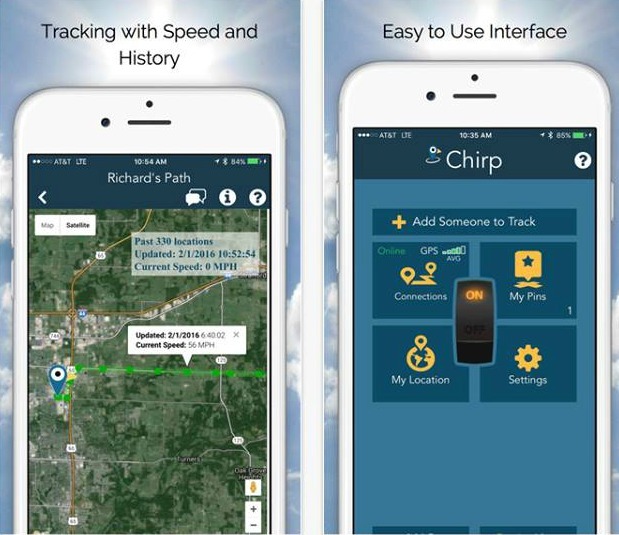 Chirp’s advanced features allow you to do so many fun things, such as follow people and view their location on the app’s map and see their history, speed, direction and elevation. The map can be viewed in two ways – satellite and street view and it is easily switchable, as well. It includes weather information, crime information at yours or anyone else’ location and a check-in option too. You can enable the notifications and get notified wherever someone enters or leaves a geo-fence and boundary you set and lock the app with a password in order to protect it. The registration process is also simple, one tap away. Chirp has premium features, messaging feature and panic messages alerts that you can send to anyone in your connection list. Drop pins on the app’s map, save and share GPS locations with an ease by downloading this amazing app that doesn’t really affects your battery life. You can find it on the App Store or on Google Play, free of charge. 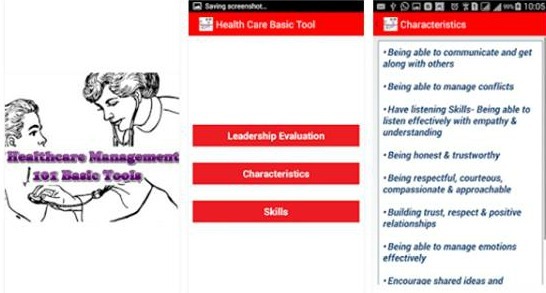 If you are looking for an app that can help you to improve yourself before entering the healthcare management, we have the perfect suggestion for you. The app we offer is called Healthcare Management and it includes 1010 basic tools about this profession field. It is created by Pgtech Technologies and it is compatible with all of the Android devices. The Healthcare Management app is easy to handle and has lovely user interface. When you download it, you will be able to manage it with an ease and enjoy its features. There are 3 options within it (Leadership Evaluation, Characteristics and Skills), so choose each one of them and read the useful information for your own improvement. Employers that are looking for healthcare managers require characteristics and skills that will make a positive impact on their facilities, so make sure you read the info and determine your goals, missions and visions. Healthcare Management will offer you tons of advices, such as to communicate and get along with other people, to manage conflicts, to enhance your listening skills, and many more. Let it help you before you go into the healthcare management by downloading It for free from the App Store. If you can’t keep track of your income and expenses, maybe it is time to take the control in your own hands and start managing them. One of the easiest ways of doing that is with the iSaveMoney app that we discovered on the Android platform and we are about to present to you. This finance app is created by UlmatCorpit and it is designed with intuitive navigation and friendly UI. iSaveMoney features many options that will be of great value for you. Everything is well-packed and categorized, so you can easily use it and keep track of your spending and budgets. With its features you will be able to lots of stuff, such as creating budget planner templates, calculating your debt and saving, calculate your income and expense by using the calculator, creating six month forecasts, monitor your daily transactions and view your transactions weekly, biweekly and monthly. This powerful finance software has built in speech recognition, as well. 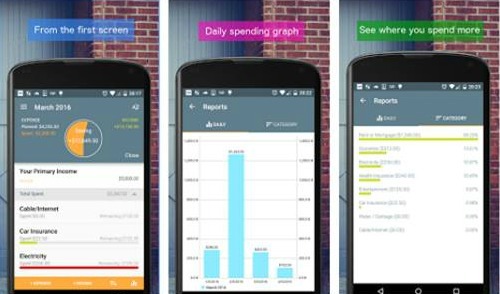 Stop being worried about your financial situation and let this Android tool help you. Become more responsible by getting this amazing budget maker and expense tracker and share it with your friends and family. You can download for free from Google Play. If you are a backgammon lover and you want to play that amazing game on your device too, we have found you the perfect match. 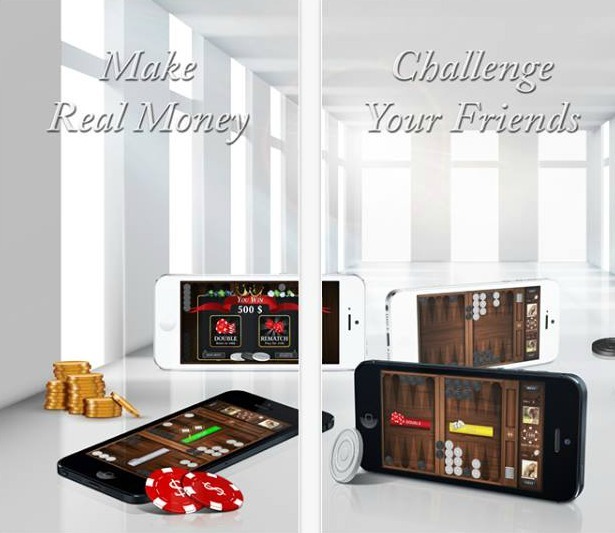 We are talking about a game called Backgammon For Money, developed by GT Holdings Limited and launched on the iOS platform. It is the first real money backgammon game and it is simple to play, with great high quality graphics and smooth UI. Backgammon For Money allows you to play your favorite board game always available in your pocket and to compete against players from all around the globe. The gameplay is actually about real money and cash prizes that you will be able to win. You can collect virtual bonuses each day and many promotions. All you have to do is pick a game board and start playing immediately against other players. The board is designed with very cool and classy design that makes it even more appealing. The game works excellent with your Wi-Fi connection and with 3G connections, as well. It is compatible with your iPad, iPhone and iPod Touch. So, play away, chat and compete by downloading Backgammon For Money for free from the App Store. There are many social networking apps available on the iOS platform right now, but almost each one of them is offering interaction with all kinds of people and to read what it is served to you. 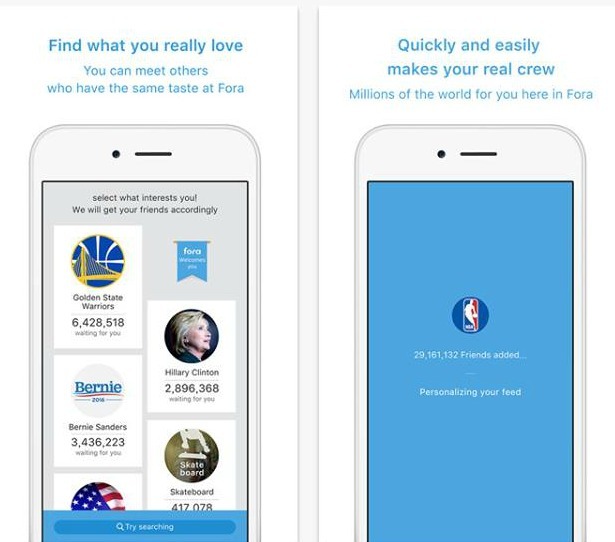 The app we discovered going through the App Store allows us to meet like-minded people and talk to them. 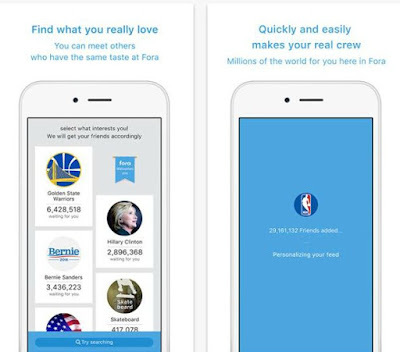 It is called For a and it is developed by Wonder People Co.
Easy to use, with great graphics and friendly user interface, the For a app is one of a kind app that involves connection between people across the world. There are millions of people waiting for you there, people that can read whatever you post and talk to you on similar subjects. It knows your interests, so just simply browse, choose and select the topics you’re interested In and customize your feed according to your liking. With this app, you will be able to post images, videos and gifs, as well. Get ready to speak up your mind freely on any topic you like and meet people from across the world. For is compatible with iPhone, iPad and iPod touch and available in English and Korean. Enter the fun conversations and enjoy using this amazing social app by downloading it for free from the App Store. Searching through the App Store in the Shopping category we bumped into an amazing app that amazed us with its shopping offerings and unique features. The app that we discovered is called Rackery and it is easy to use, with friendly user interface and great graphics. We highly recommend you get it if you want to find the best fitting clothes on the web. 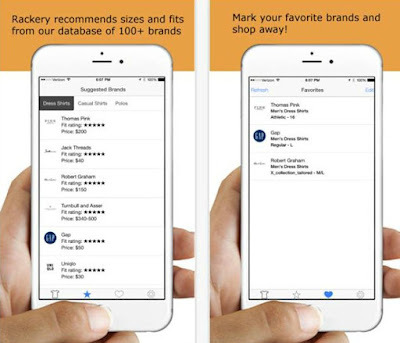 The Rackery app includes more than 100 brands and over 300 fits. With it, you will be able to search through the categories and find brand names like Calvin Klein, The Limited, Ann Taylor, Zara, H&M, Nike, Adidas, Puma, Athleta, Reebok, and many more. The steps are really simple to follow (there are three of them). Just open the app and enter your basic information, such as your height and weight. Give the experts your measurements or upload a photo of you with the PhotoFit feature and they will determine the right fit. Then, view the list with the brands and find anything you like. Within every result you get, there is a direct link to the brand’s official website, meaning you will be able to buy the things you desire with an ease. Rackery is entirely free to use, it requires iOS 6.0 or later and it is compatible with iPhone, iPad, and iPod touch. You can find it on the App Store. Action and adventure games are the games we need when we want to entertain ourselves for hours and on. An amazing fun-filled game was launched on both the iOS and the Android platform that really got us all into it the past week. The game is called StarSmasher and it is developed by Laughing Buddha Games. This cross-platform game is designed with colorful and interesting graphics and friendly user interface. When you get to know the story within this game, you will love it as much as we do. Basically, you are playing with a character that somehow stumbles upon a village with people that are scared of the stars that fall every Monday. The prophecy said that you are the hero that they’ve been waiting for, so don’t wait and save them from the falling sky rocks. All you have to do is to use the catapult to smash the stars. You do that by touching and dragging the rock backwards and releasing it in the right direction. Hit as many as you can and get higher scores, use the offered power-ups to improve your techniques. With them, you can double or triple your score, you can blast multiple stars in one go, multiply the rock projectiles and more. Protect the villagers in their huts by upgrading them and also upgrade your catapult for more fire power. Play StarSmasher, become the hero they’ve been waiting for and save them by downloading it for free from Google Play or from the App Store. Enjoy The Driving Adventure with Change Lane: Do not Crash! Not all games you downloaded proved that they are fun and entertaining, but few days ago we discovered one game that fulfilled all of our expectations. The game that we are talking about is called Change Lane: Do not Crash! and it addicted and challenged us to the fullest. This is a classic avoidance game that allows you to have a fun driving experience and opportunity to drive all day long. Today we are presenting to you an app that can be a music video player for YouTube, an audio streamer and also a playlist manager. 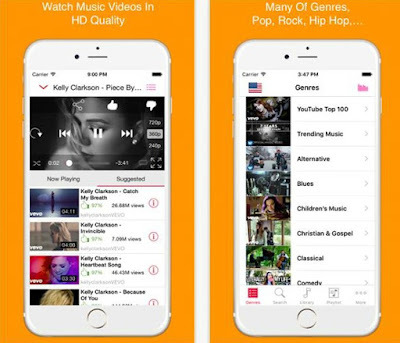 It is called Music Tube and it is one of the finest and most popular lifestyle apps currently available on the iOS platform. Developed by Hieu Vu and released not too long ago, the app amazed us with its well-packed design and interesting features. With Music Tube you will be able to do lots of fun things. You can play your favorite music tracks very easily and enjoy them while you use other apps on your phone (yes, it runs in the background). You will be able to discover new and fresh music, search and listen to millions of YouTube videos and also to keep track of new trending tracks. The YouTube search is quick and you can use the favorite button, as well. In that way, you will always have your favorite tracks at the tip of your fingertips. The Music Tube app includes a playlist maker option, where you can add the songs you like and create your special playlists for your car, for your workout, for a party, etc. With airplay support and high quality music videos, this wonderful app can be downloaded from the App Store, where it is free of charge. We are all tired and annoyed of typing our emails or phone numbers over and over again each time we log into some app or when somebody asks for that information. Well we have found the perfect solution for you! We are talking about an app that is called MeKeyboard and it is created by Danielle Mercier. It has been launched on the iOS platform and it is one of the best utilities over there. 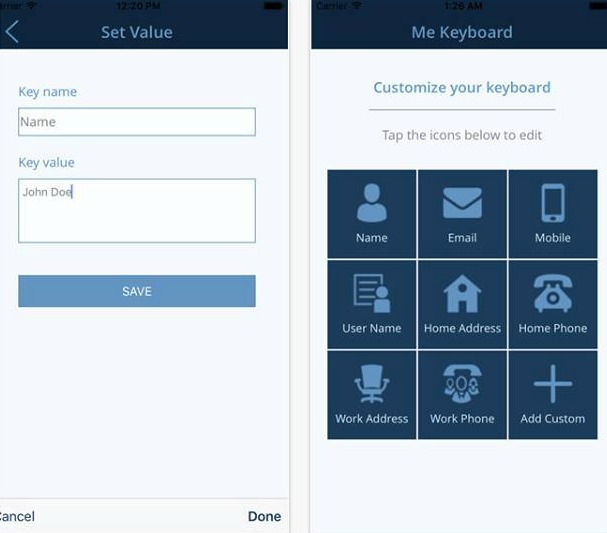 MeKeyboard is very simple to use so that means you can enjoy the app in just completing a few easy steps. It has been created so that you can store and keep all the information you need to give very often (names, emails, phone numbers etc.). You can also write an additional option and have it listed on the app. Simply tap any icon and put in any information so each time you are going to be needing the required info, the app will do the work for you. With MeKeyboard you can type in customized messages and auto-signatures, it will definitely save you up some time. With an amazing design and lovely user interface this app can be downloaded now for free only on the App Store. Some games are really lovable and cute, but they also provide with hours of fun and entertainment. That kind of a game is Dreaming Pug, a game that we recently discovered on the iOS platform. It is created and developed by Michael Dunn and it is has amazing design and pleasing colors. We are sure that you are going to love it. 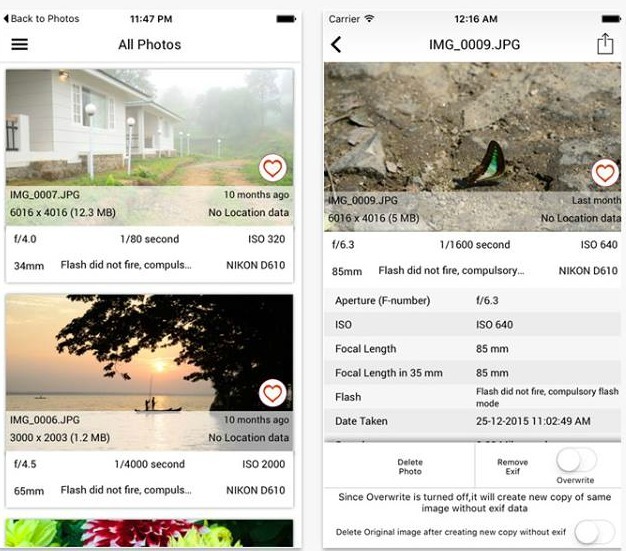 If you are a professional photographer and you are dealing with DSLR Photography, you may as well have an app that can offer viewing the EXIF metadata of your photos. We discovered that kind of an app recently on the iOS platform and we were amazed of the features it contains. We are talking about Exif Viewer, a Photo & Video app developed by Fluntro. Exif Viewer works excellent with camera connection kit and it allows you to import photos from your photo album and view the EXIF data very easily. Simple to use, it provides with ability to browse the EXIF metadata and to view all of the EXIF details of each photo of your device. Just swipe left or right and move to next or previous item and customize the date format according to your likings. You will be able to zoom any of your photos and it will remain with the same clarity and resolution, as well. The Exif Viewer app is available for any iOS user, meaning it works on any iOS device and there is no in-app purchase added. It even works great on Landscape and Portrait mode. Download the app from the App Store, for only $2.99 and get its photo extension too. 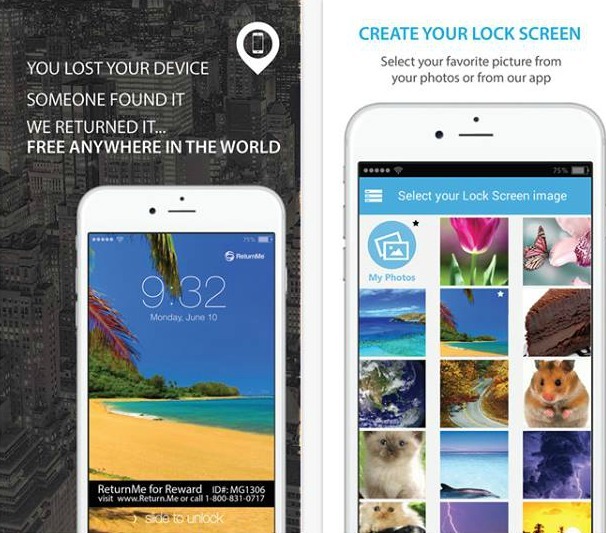 If you are looking for a simple and safe way that will help you to find your phone if you lose it, we have one of the finest apps on both iOS and Android platforms. The app is called ReturnMe and it is a cross-platform, amazing digital tag app that has been protecting thousands of customers around the world since 2007. The developers and the whole team put a huge effort in making this app affordable, with helpful and unique features and smooth design. ReturnMe can help you get your phone back very easily. You can forget about running around the city to look for it or meeting with a stranger who has your phone. This app and its team will take care of it quickly. Install the app and select a picture from your phone or from the app’s collection and then personalize it with the digital recovery tag (your unique ID code and ReturnMe’s contact information). Select and set it up as your lock screen. So, if you lose your phone, the one who finds it can easily contact the team, and they will deliver it to you as quickly as possible. The finders are motivated to contact ReturnMe with the offered rewards ($50.00 online gift certificate). Manage your tags, update your contact info and make sure you share the app with your friends and family and help them protect their mobile devices. Download it for free from Google Play or from the App Store. If you want to cheer up your mother on any day and show your love towards her, we have the perfect suggestion for you. 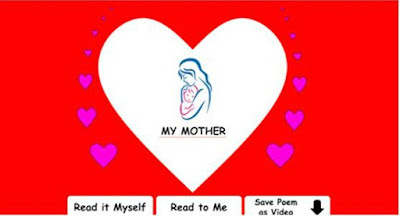 We present to you the app called My Mother, a heartwarming app that celebrates motherhood. It is developed by Sedat Oguz and it is available for all of the Android users out there. Your mother is one of the most important people in your life, so why not show her your appreciation for the love and care she gives to you every day? My Mother app features loveable and touching poem about mothers and their love, presented with an animated video to make it even more heartwarming. There is also a touching music included that your mother will love for sure. You can save the video and send it to her, it is the perfect gift for the mother’s day. Read the poem by yourself or let the cute child’s voice read it to you, it is your choice. Even if you are a mother and want to make your kids understand and appreciate your role in their lives more, you can read it to them or play it to them. If you are a husband and you want to tell your wife how much you love her and how much you value her motherhood, this app will offer you one of the best ways to do that. You can download My Mother for only $0.99 from Google Play. Searching through the Games category on the App Store, we found one of the most pleasing and most entertaining games, called Tapped. 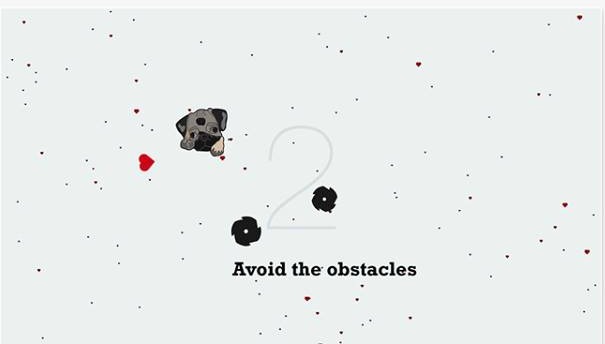 This simple, yet fun game got out whole office addicted and we still can’t stop playing it. Developed by Kodescraft, this game app has very well picked colors and backgrounds, friendly user interface and very cool gameplay. To see what we are talking about you must download it immediately. At first you may think it is easy to play, but it is harder than it looks like. All you have to do is to tap on you display when the bar touches the ball. There are unlimited levels, so try to win as many as you can and try to perfect your eye-to-finger coordination and playing skills. The leveling progression is what makes Tapped so challenging and addicting. According to the reviews, all of the customers are really satisfied with it, so make sure you share this amazing game with all of your friends and family. 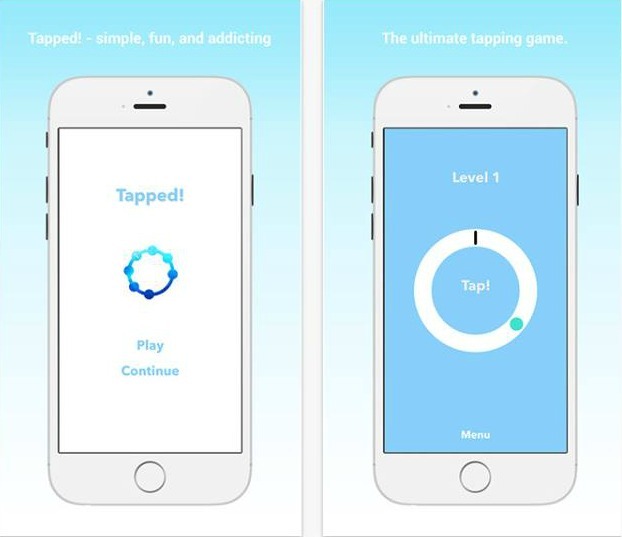 Share the fun and enjoy playing the ultimate tapping game on your iPhone or iPad. Download the game with fewer ads for free from the App Store. Travelling is one of the most exciting life experiences. We enjoy even planning it. So why not enjoy it even more and make it easier with a travel tool always available in our pockets? We present to you today one of the finest iOS apps that can help you with your travelling needs, called AroundTown. It is developed by Matt Powell and it is designed with smooth user interface and very helpful and amazing features. You have a ball to take care of, the ball is moving constantly through different obstacles. You need to help the ball to avoid all obstacles. Although this sounds easy, Balance Ball makes it truly challenging along the way. Throughout this journey you will face stones, huge build materials, cactus and new amazing places that change as you progress through the levels. The interesting thing is that we thought that this adventure game was easy. At the start it indeed is. However, as you progress, you will be begging to go back to the starting levels. In the later stages, everything is just more complex and obstacles will star appearing from anywhere. The music in the game is relaxing and just fits the whole laid back style perfectly. Overall, this is an enjoyable adventure game that can offer hours of Android gaming. The cool thing is that the developers are updating the game frequently and are adding new levels with new obstacles. If you are into adventure games, this pick is a winner. It’s free too! Games are a huge source of entertainment for all ages. They can engage you and provide you with hours of fun. If you are looking for a game that will addict you and challenge you, then the Spike Pit game is a must for you. Created by Jordan Melendez, this game is relatively new on the iOS platform and it has amazing design, smooth user interface and attractive sound effects and music. Spike Pit’s gameplay got our whole office addicted. What we liked the most are its awesome characters and goals. All you have to do is to tap on your device’s screen in order to keep your character from the moving spikes. They are everywhere around you, so try to avoid them if you don’t want to lose the game. As you try to keep up with the increasing difficulty, you have to collect as many coins as you can to unlock more characters. There are 10 different characters that can be unlocked by either playing on the machine slots or by in-app purchases. 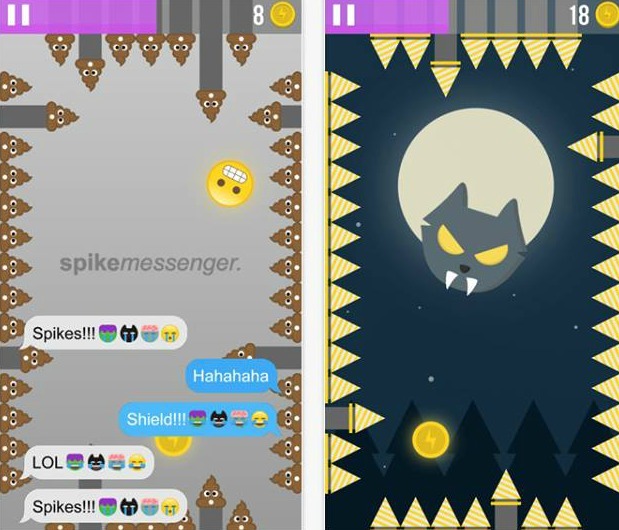 Spike Pit is connected to Game Center, so try to make higher scores and compete with other players. Besides, it is available on multiple languages. Play and have hours of fun by downloading the game for free from the App Store.